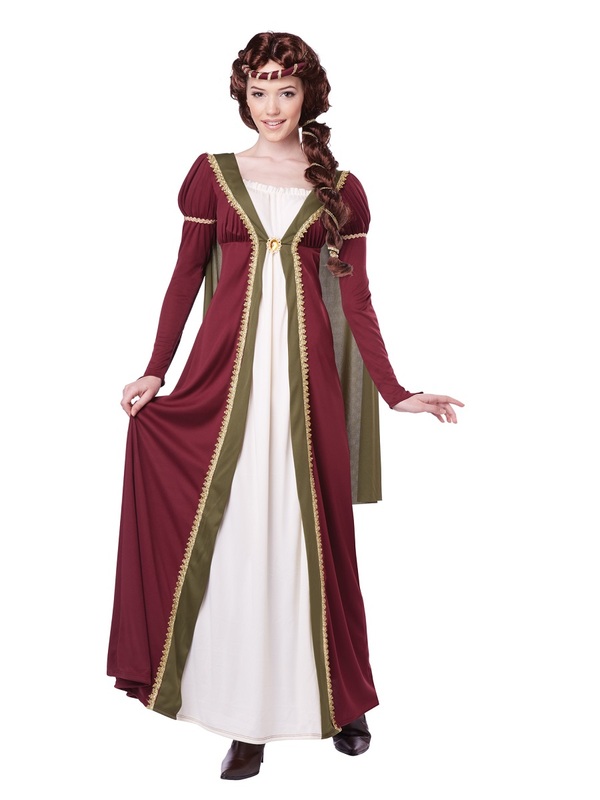 The Medieval Maiden Outfit comes complete with a Burgundy, Cream and Green Floor Length Elegant Dress with Puffball Sleeves and a Gold Trim Down the Dress and Round the Arms. The Dress also details a Ruffled Neckline along with an attached Green Cape. 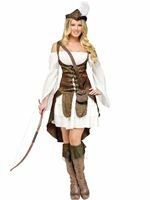 Completing the Historical Wench Costume is the Padded Headpiece with Gold Loops and Jewel which attaches to the Centre of the Dress. Please note that the packaging will display US sizing. This was a very nice-looking costume that looked good on. I did need to pin it around the bust (I have an average bust but it allowed for someone very buxom!) at the sides in order not to show my bra. It was also longer than it needed to be (would have been long in heels, but I wore flat shoes, and I'm 5'7", and it trailed by about 1-2 inches). 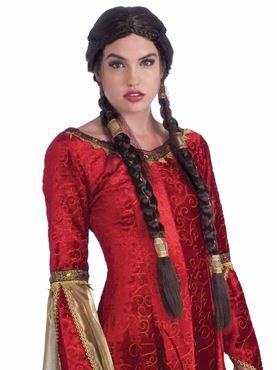 But it was a lovely costume for the price and I didn't mind the "issues".